I’m fascinated by the whitewashed silhouette of a person in the sign. 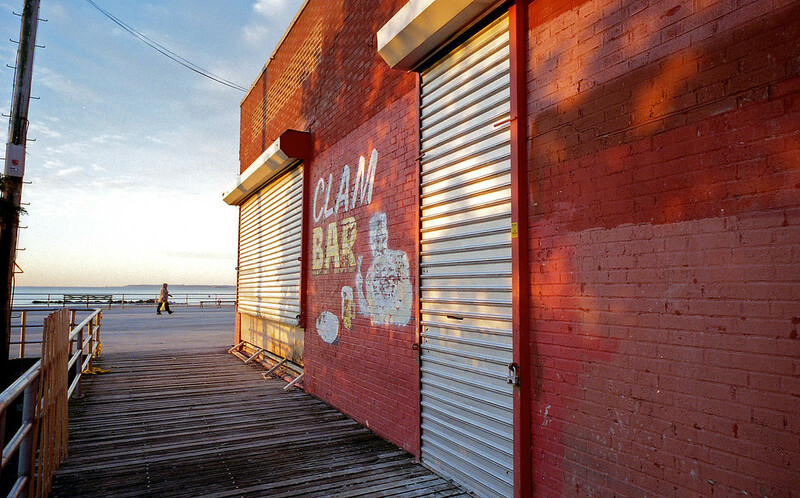 Did the clam bar have to obscure it, and if so, why? I love the change of color the building provides to the otherwise drab color of the dock in the scene. I bet this picture would look good on a wall. Interesting shot, Mark. I like the composition and how the colors contrast. That walker sets a perfect balance.